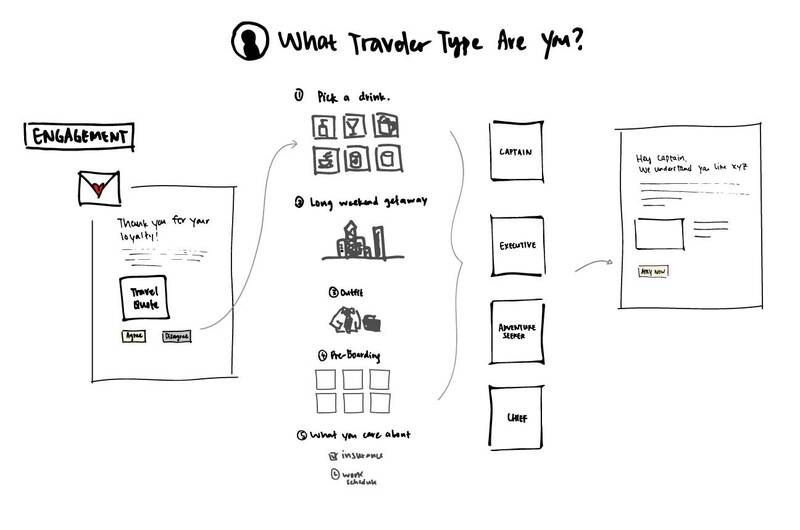 As with Part 1 of the Data-Driven UX Series, personalization is a great conversation starter. But in order to keep the conversation going, I need to engage users and hopefully influence their behavior. I always begin by understanding users. For some, they prefer facts and figures, pros and cons, whereas others are driven by emotions. 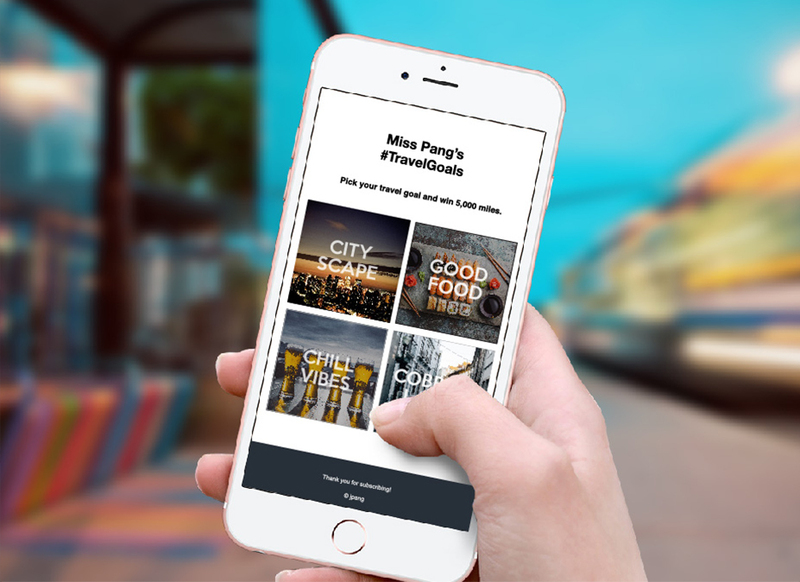 Striking that delicate balance between those two groups can be challenging and is evident for this case study on user acquisition. What's the Deal with Credit Cards? Credit card campaigns can get very old nowadays. 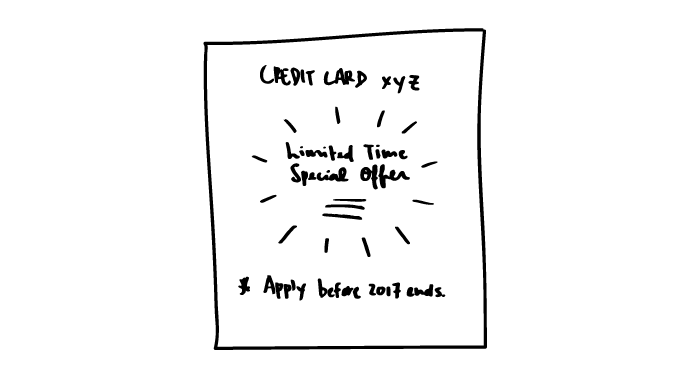 Typically, you receive either a Direct Mail or email with a cookie-cutter message that says "Apply for our credit card and get offer XYZ. Limited Time Offer!". But let's be real, when is it not Limited Time Offer? The first and most logical approach is to use machine learning algorithms alike to predict users' likelihood to apply for a credit card. But this doesn't take into account users' emotions and motivations. 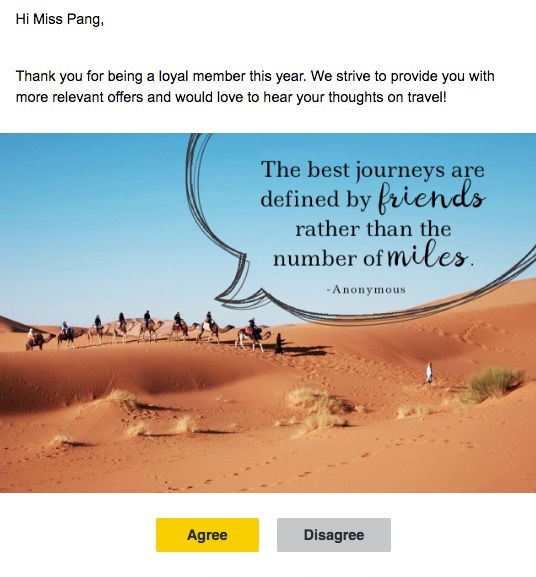 To understand members from both qualitative and quantitative aspects, I decided to introduce an two-part Engagement piece - an Engagement Email which lands on a Buzzfeed-inspired Engagement Survey. There are two challenges to this piece. First, how do I get users to click on the Engagement Email? Second, once they land on the Engagement Survey, how do I get them to complete it? 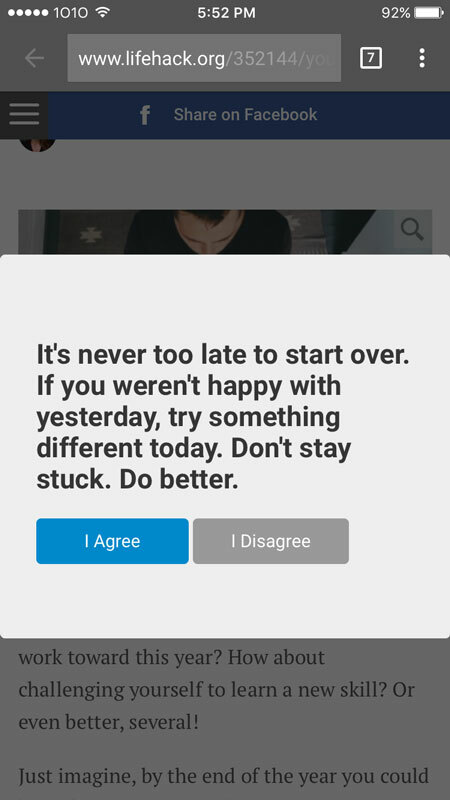 The idea sparked when I was on Flipboard and came across this pop-up. So this is what I did for the Engagement email. We A/B tested the subject title and travel quotes, and the open rates skyrocketed to 40+% open and 10+% for click rates. Whether you agree or disagree, brace yourself for a just-for-fun Engagement Survey. So Tell Me, What's Your Travel Persona? The trick to designing the survey is it isn't just about fun, viral content. It should serve a purpose. 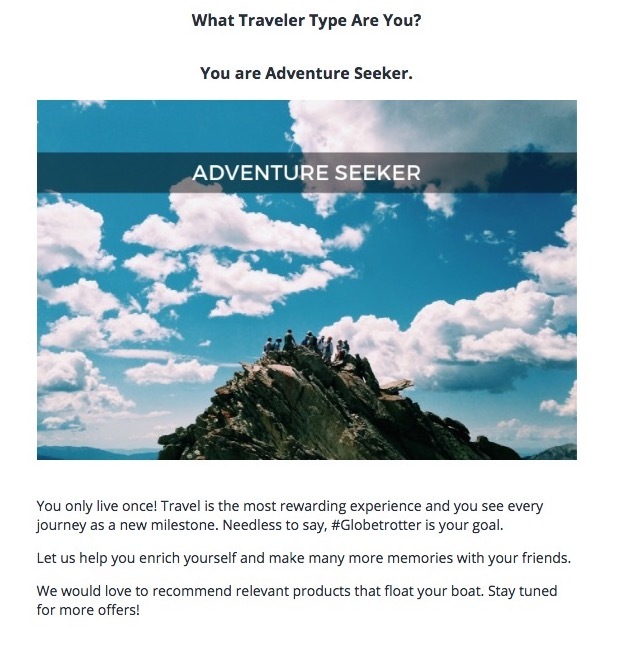 The survey was about users’ travel and lifestyle preferences and outputs with a travel persona. In addition to engagement, I identified the offers' competitive advantages and used them as anchor points to gauge the user's interest. Feel free to give it a shot yourself! Depending on your answers of course, you get one of four personas. Most of us, it seems, are Adventure Seekers at heart. We hit a good 10% completion rate, which was quite impressive given there was no offer attached. Of course, great things build expectations. So after kicking off with a successful engagement piece, my fellow Data Scientists got cracking with the survey data and personas so we could follow-up with an acquisition email a week later. This is where the magic happens. Each persona was pre-assigned to a set of personalized content. All we have to do is map them to the corresponding persona. 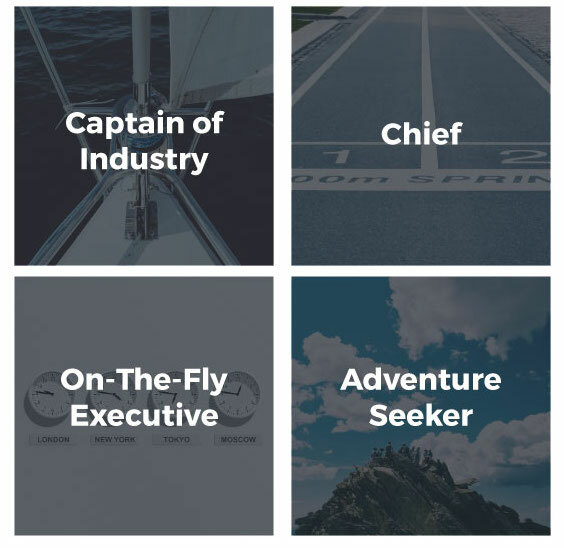 For those who had not completed out the survey, we assigned them to a travel persona based on characteristics such as demographics and transactional behavior. The result? A whopping 35%+ open and 4% click rates. 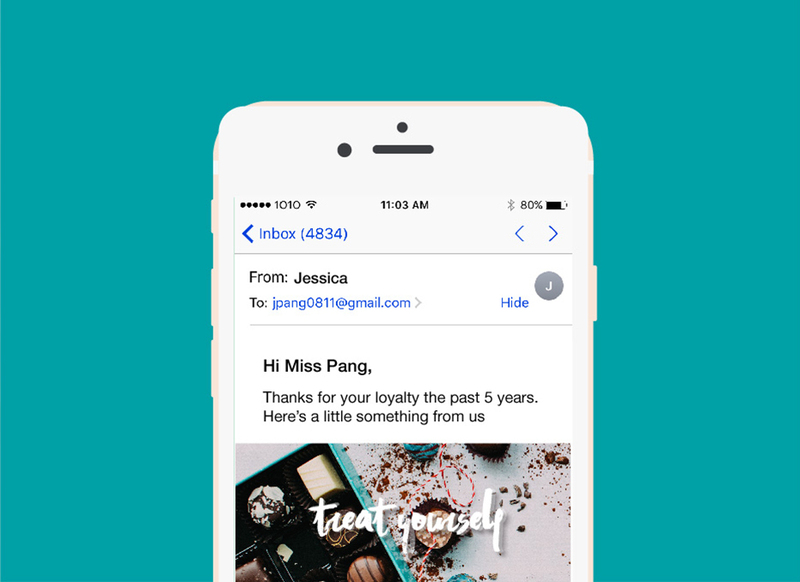 As a final wrap-up to this campaign, we launched a reminder email based on users' email behavior another week later . I personalized the message slightly for three states: Open Only, Click Only and Clicked and Applied. As you may have guessed, the Click Only registered more interest and conversion than Open Only. Turns out that users are willing to engage even with no incentives. Another equally rewarding insight is the ability to influence user behavior - converting low propensity yet high engaged users, for example. The only expectation, though, is that you follow-up. This is the heart of data-driven design and could not have been done without either the engagement nor the quantitative propensity model. In fact, this approach maximized our reach and acquisition.